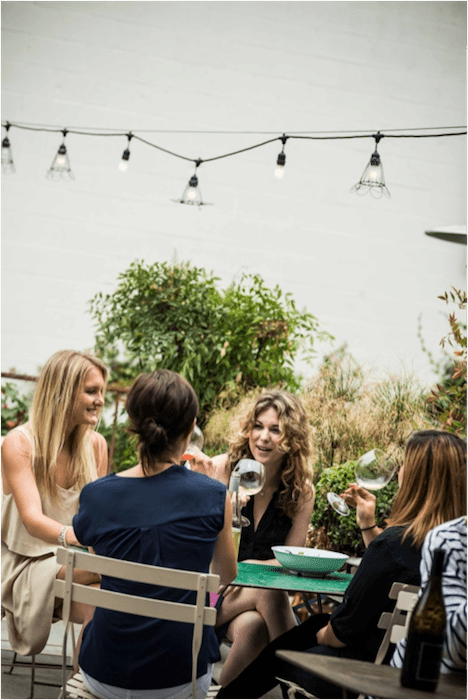 The Santa Barbara Wine Collective Patio, photo by Rob Stark. Looking for something different and fun to do on a Sunday afternoon. Starting this week (June 17), Santa Barbara Wine Collective launches Sundown Sundays for summer. 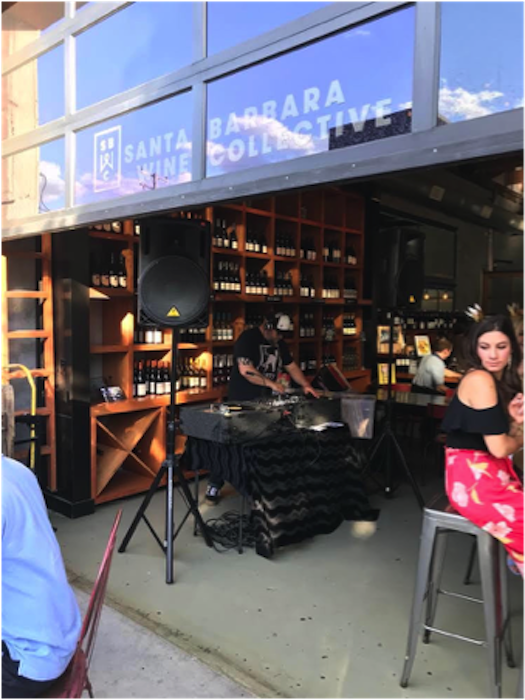 Relax with a glass of one of the member wineries’ vintages on the Santa Barbara Wine Collective patio, located on the Urban Wine Trail of Santa Barbara’s Funk Zone at 131 Anacapa St., Suite C.
Persian Housecat performs July 8 & July 22 and Valdas Karalis (July 29). Helena Avenue Bakery Cheese Plates and Baguettes are available for purchase to enjoy with wines by the glass or bottle from Santa Barbara County member wineries Babcock Winery, Ca’ Del Grevino, Fess Parker Winery, Notary Public Wine, and The Paring & The Hilt. Admission is free to the public and reservations are not required. The Santa Barbara Wine Collective patio is pet-friendly. 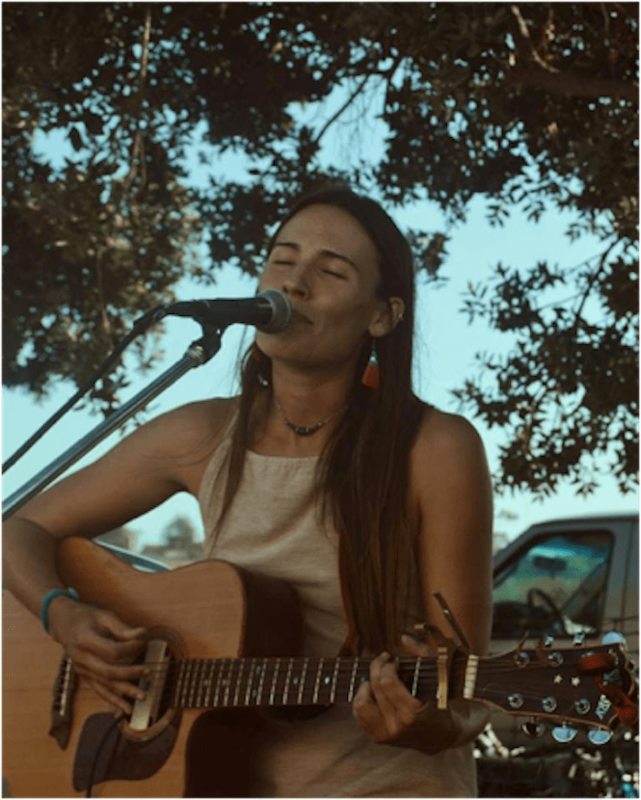 Musical talent performs from 3-6 p.m. Cheers! Click here for more Cocktail Corner columns. When she’s not busy working as the editor of Santa Barbara SEASONS, Cocktail Corner author Leslie Dinaberg writes magazine articles, newspaper columns and grocery lists. When it comes to cocktails, Leslie believes variety is the spice of life. Send your suggestions to Leslie@sbseasons.com. Originally published in Santa Barbara Seasons on June 17, 2018.